SEO = Search Engine Optimisation is a technique to increase your placement on a search engine page. There’s certain activities that will help to improve your rankings. Making sure your readers can find you! It really is important to have an overall SEO strategy. Start by narrowing down your focus to one main term that describes what your business does and what your pages and posts are about. SEO is a strategy you need to be in for the long haul. Using WordPress makes SEO easier. Read my 5 WordPress plugins that features the best SEO plugin. It’s best practice to start your on page SEO as soon as possible. Here are some standard tips you can instantly use. Make your links friendly. Friendly URLs – keyword in the first 3-5 words. Example – Your page has a new recipe for a cake. Try your heading as ‘Double Chocolate Cake Recipe’ – your keyword to target here would be chocolate cake recipe. The first word that goes in your title tag should be the keyword you have chosen for that particular web page. Then you can add your brand name next. It is crucial to show the search engines the keywords that are vital to your business or blog in the form of link text. (This is the basis for “link building.”) So be sure to set up internal links for appropriate keywords – not ‘click here’ or ‘read more’. Link one of your posts to another. Example – You have a new recipe about decorating cupcakes, but you also have a post about how to bake cupcakes. Within your recipe content you would link to your how to post ‘Read more about how to bake cupcakes’ not ‘click here’. Meta descriptions don’t help you rank in the search engines. However, they are the snippets of text that search engines use to describe your listing that customers will see. Think of this like a sales ad. 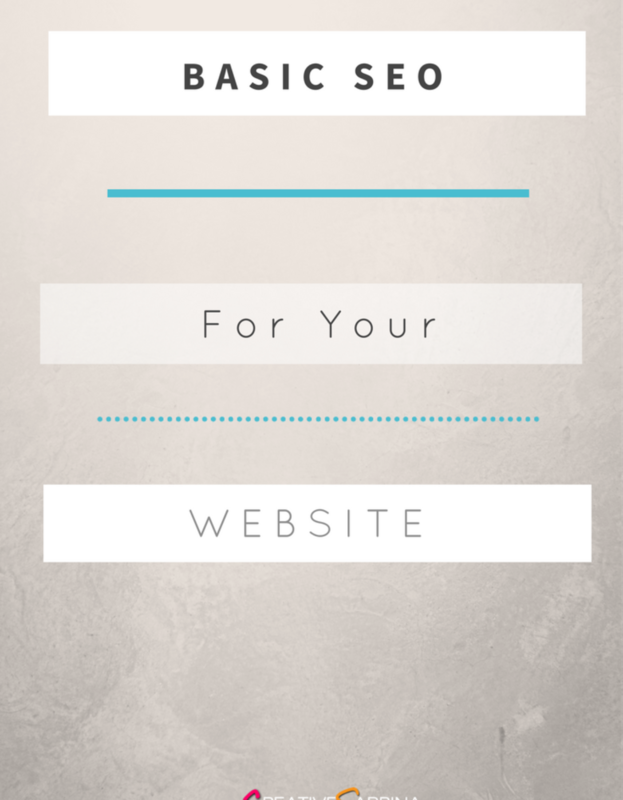 You want to draw people in and make them want to visit your website. Don’t sweat. These haven’t mattered since the late 90s. Google doesn’t look at them*. However there’s no harm in having them there. A couple of keywords will be fine. Don’t skip H1 to H3. H2 provides a small SEO weight, but necessary. Search engines will have a better idea of what the page is about if you stick to relevant natural language. Think of this a subheading. Bold only one keyword. Don’t try to go after multiple keywords. Search engines don’t have eyes. Alt tags tell them what your image is about, therefore giving it a better understanding of your website. Pages that rank on page 1 of Google have a word count above 2,000 words…..however, this will of course vary by industry. In general, there is no minimum word count when it comes to quality content. Different meanings of keywords through page – like a thesaurus. Google can then determine a pages relevancy. SEO changes, and some factors that mattered in 2006 don’t matter anymore. It’s important to stay up-to-date on your SEO knowledge, even just the very basics. It takes a while – implementing basic SEO doesn’t mean you will automatically shoot up to page 1 on search engines!